We are privileged to work in a happy, vibrant and successful school. Judith Ratcliffe and her staff provide a learning environment that strives to give each and every child the start in life they deserve. 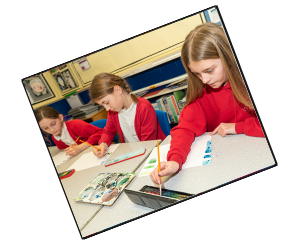 As a governing body our clear responsibilities are to support and monitor the way in which the children who attend our school are educated. We work closely with Mrs Ratcliffe and her management team to make sure we make the best use of the resources we are provided with. We meet regularly as a full board and in committee meetings to analyse the performance of the school. 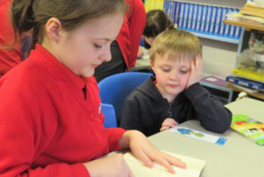 Our role has developed over recent years and we are now, more than ever, required to challenge the head teacher and her team to ensure that we are striving to improve the education and consequently life chances of every child who attends the school. The Standards and Achievements Committee monitors and challenges the school's progress. The committee reports back to the main board at each meeting enabling all governors to be fully aware of the progress being made and where the school needs to improve. The role of school governor is voluntary, however our approach is professional. As board members we regularly review our purpose to ensure we are serving the school in the best way we can. We are passionate about education and understand the importance that it has for each individual throughout their life. If you are a parent, carer or guardian and would like to know more about the Board of Governors you can make formal contact through Miss Green, the school's Finance Officer, who is also Clerk to the Board of Governors. However a number of the governors are parents and can be seen in the playground before and after school doing the school run, and they will happily answer any queries about the Board. 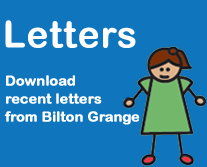 In March 2014 the Board of Governors of Bilton Grange began a review of their activities. This follows the publication of an updated Governors' handbook which was published in January 2014. "We have high expectations of governing bodies. They are the strategic leaders of our schools and have a vital role to play in making sure every child gets the best possible education. For maintained schools this is reflected in the law, which states that the purpose of maintained school governing bodies is to 'conduct the school with a view to promoting high standards of educational achievement at the school'. c. Overseeing the financial performance of the school and making sure its money is well spent." Once the review is completed the outcomes will be published on the school website.